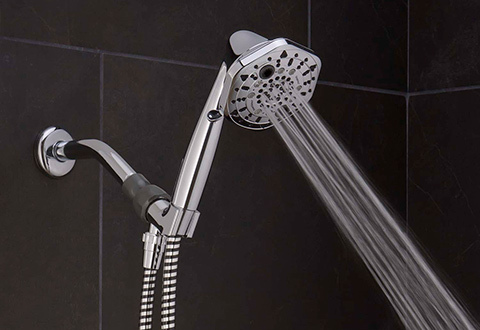 The Pressure-Boosting Multi-Setting Showerhead gives you a wide range of refreshing shower options regardless of your water pressure. 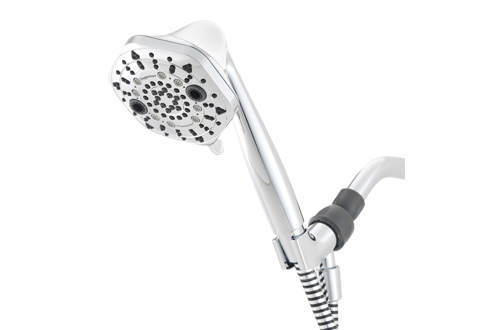 Its unique, patented design delivers more pressure through increased water velocity and air induction. Seven distinct settings let you customize your shower to suit any mood or occasion — from a gentle rain to a pulsating hydro massage. 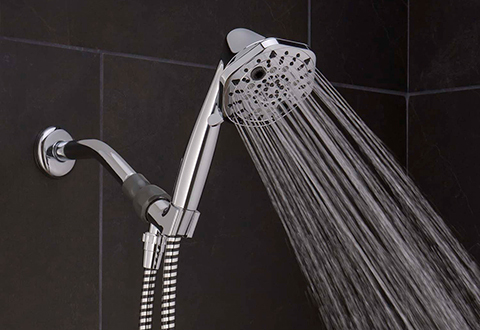 You’ll use 20% to 70% less water than traditional fixtures, so you’ll save on water and energy costs. Use with the included handheld wand and 60" hose. 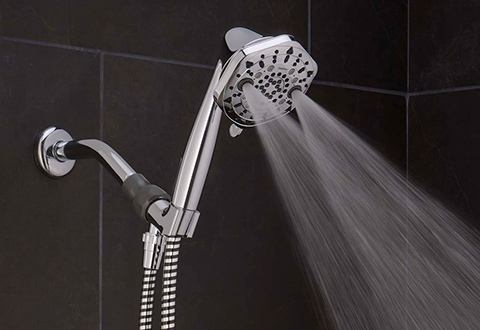 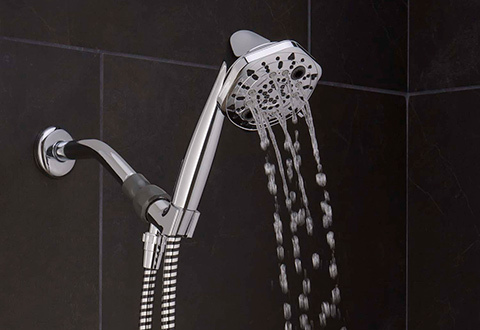 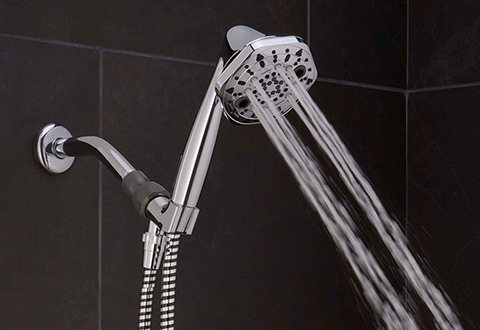 The Pressure-Boosting Multi-Setting Showerhead gives you a wide range of refreshing shower options while using less water than other fixtures!